Cesar Diaz at This Is Cosmos Country interviewed me this week about the book, and here are the resultant words. I must say that I like the idea of him reading the book while sitting in an actual stadium. What was more enjoyable, the research or the interviews? Both. 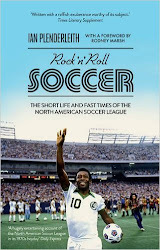 I loved the research aspect – leafing through countless old soccer magazines and books that had been in my cupboards for years, and finally being able to say to my wife, “See! I told you they’d be useful some day.” I spent a lot of time in the magnificent Library of Congress in Washington DC, and if they’d only had beds there and an all-night bar I would probably have moved in. 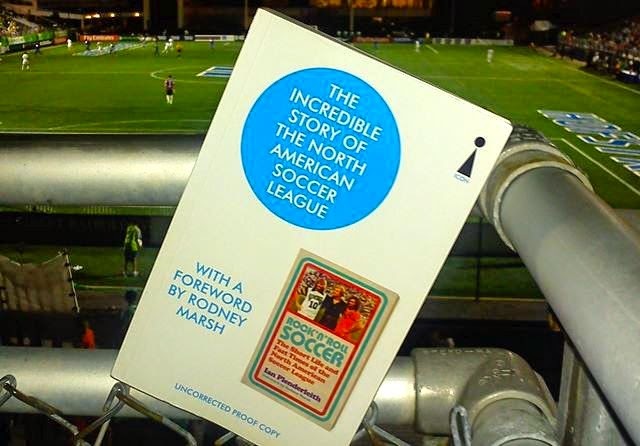 The interviews were great fun, too – almost everyone I contacted was happy to talk about a period that we all felt had been neglected by soccer history. Some of the former players would still be talking now if I hadn’t called time on them – just wonderful blokes who were willing to give up their time to a hack they didn’t know from Adam. What was it like to interact with Rodney Marsh? Rodney was one of the first people to agree to an interview, because he understood straight away what the book was about, and why it needed to be written. He’s not only funny, but a very astute analyst, so he gave me lots of material, and then later agreed to write the foreword. Needless to say, he was one of those players that I idolised as a boy growing up in England in the 1970s – full of character and flair, and always smiling. It’s amazing what a difference that makes to kids watching the game, a smile. I really wish we could see more of that in the game – from players, coaches and fans alike. "An excellent work of sports journalism"